There are 30 pages of Xbox One goodness inside. CVG Australia has a new 30-page digital magazine out for the iPad and iPhone - and the one-off special is all about the Xbox One. With details on Microsoft's new console, due out in Australia on November 22, it also has trailers, screenshots and rundowns of some of the most anticipated first and third-party titles headed to the next-gen machine. 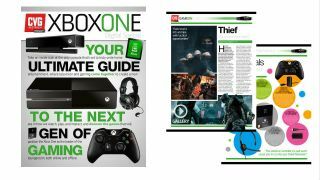 If you're still deciding on if you should pre-order the console or not, the digital magazine should be able to give you an in-depth guide to all things Xbox One - and just for $1.99 from Apple's Newstand. Our blips are are also one-off gems, so you should check them out as well.